2. In the “Files” section, click on “File Manger” Icon. 3. cPanel File Manager will be open, select the appropriate domain name or folder location, and press the “Go” button. 5. 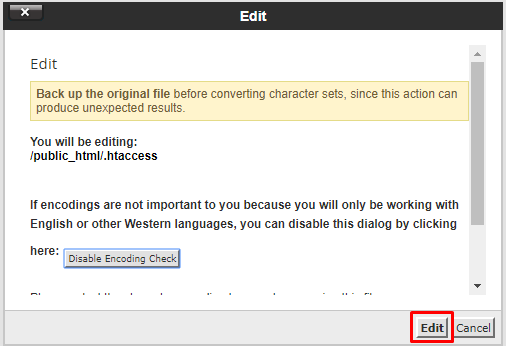 If the .htaccess file does not show, click on the “Settings” button in the File Manager. You can find the “Settings” button on the Right Side of the top menu. A new small window will open. 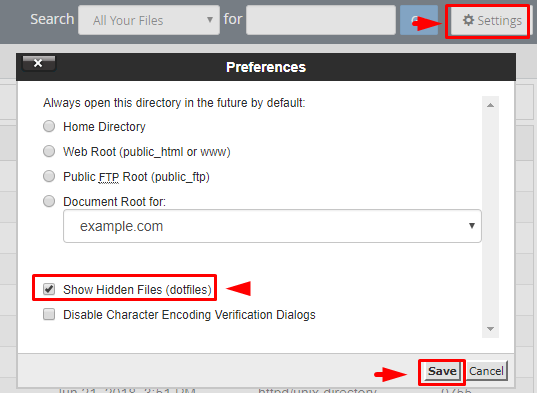 Mark the “Show Hidden Files (Dotfiles)” option and click on the “Save” button. You will be able to see the .htaccess file. If it does not exist, create a new one. 6. 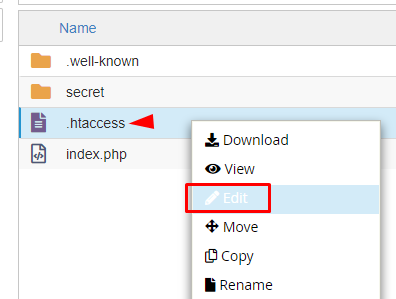 Right click on the .htaccess file and then on “Edit” in the Context Menu. 7. If the small “Code Editor” window is open, click on the “Edit” button, which will open a new window with options you can edit. 8. 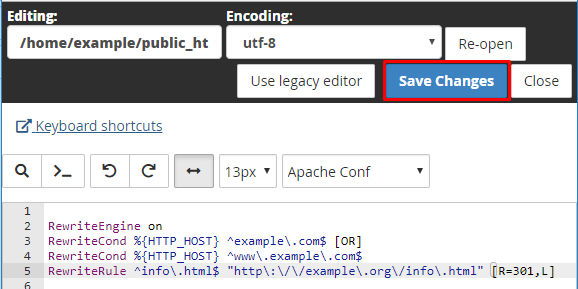 Make changes to your .htaccess file and then click on the “Save Changes” button.